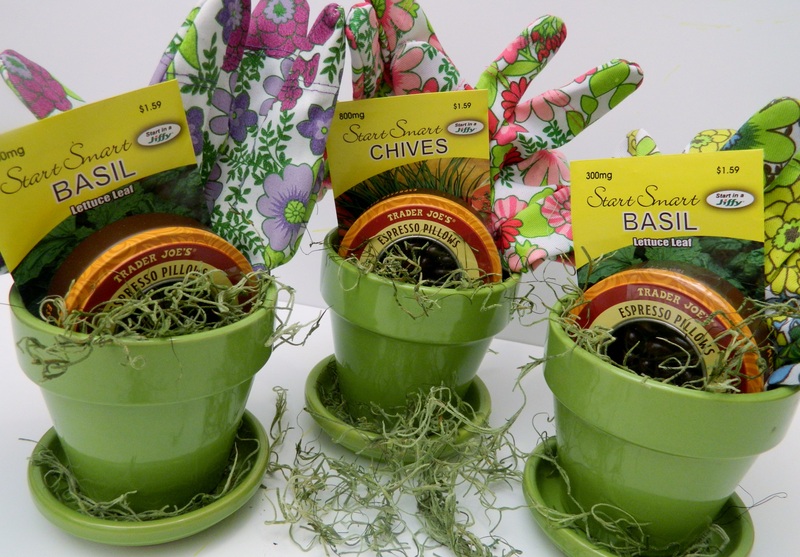 These little flower pots filled with springtime goodies are fun to make and give away. Create them for any occasion — party favors, hostess gifts, or welcome gifts left in your guest room. Use your imagination loading the contents of little flower pots. Arrange everything in the little pot and put in a cellophane bag (available at craft stores) and tie with ribbon (I used rafia). 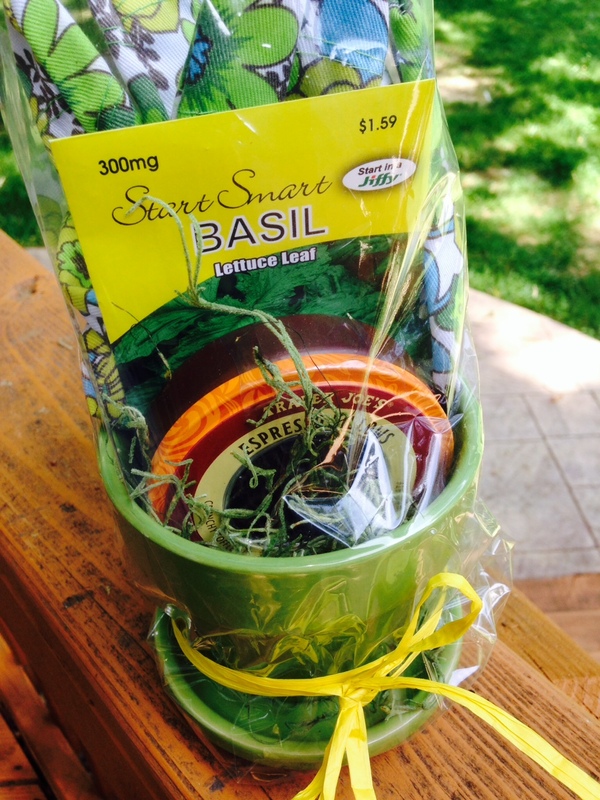 I also included a little soil in a separate baggie placed behind the flower pot in the cellophane bag. That way the seeds are ready to plant. Your table says “Welcome, we’re glad you’re here.” Set a spring table with the blooms of the season for a hospitable burst of color. Today my dishes all match, but feel free to mix and match dishes for a whimsical, yet coordinated, look. 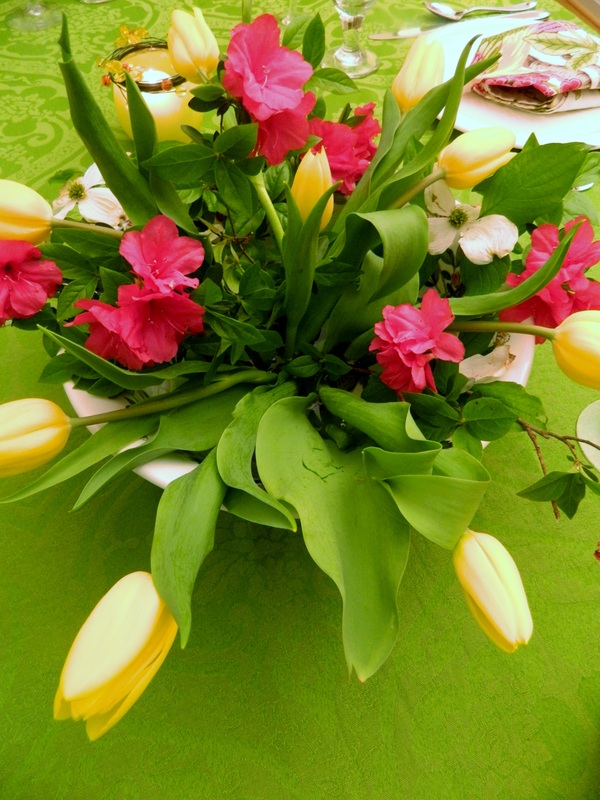 Spring flower centerpiece: tulips, azalea bush and dogwood branches, all from my yard. Whatever you have, blooms and greens, trim short for a bowl so the centerpiece is low and doesn’t obstruct vision. I used a Portmeirion Botanic Garden bowl with a spiked flower frog to hold flowers in place. Arrange loosely for an informal look. 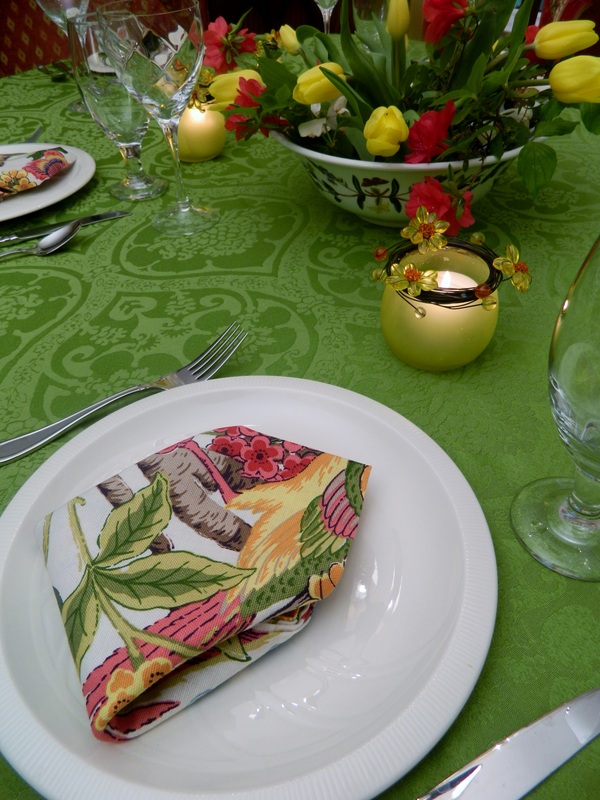 Napkins: Whippoorwill pattern by World Market picks up all the spring colors from the flowers. Tablecloth: Fresh spring green linen by World Market. The color hue is a step up from the wintertime mossy greens. Dinnerware: Simply white Franciscan china, Nautical sea sculpture pattern. Goblets: Wine goblets by Kosta Boda. Water goblets by Libby.